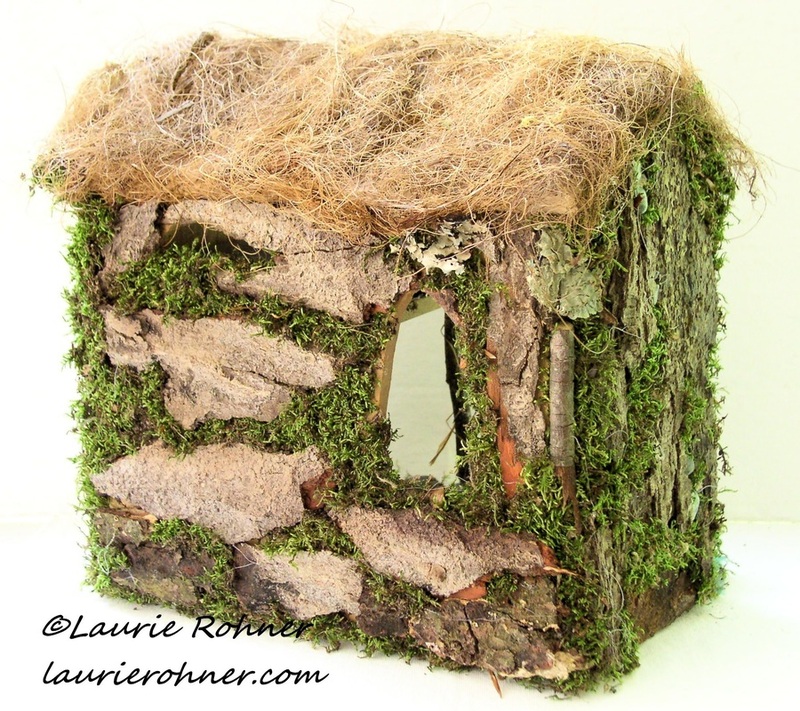 Thatched Cottage Woodland Fairy House Hand Sculpted Handmade Custom Fairy Sculptures by Laurie Rohner. 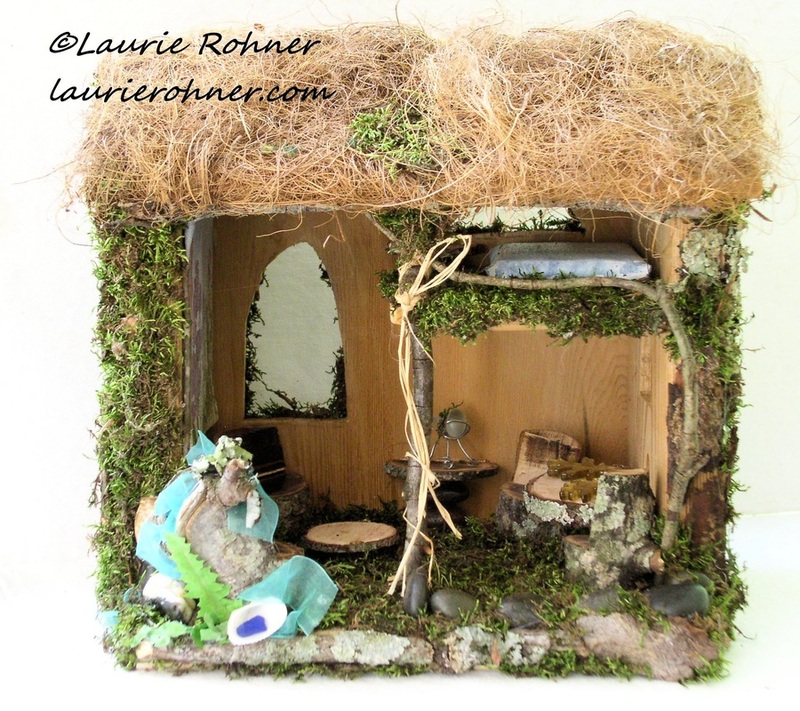 A thatched cottage from the pages of a English country side is filled with woodland fairy furniture and even a canvas original artwork by a fairy believer, Laurie Rohner. How magical is that? 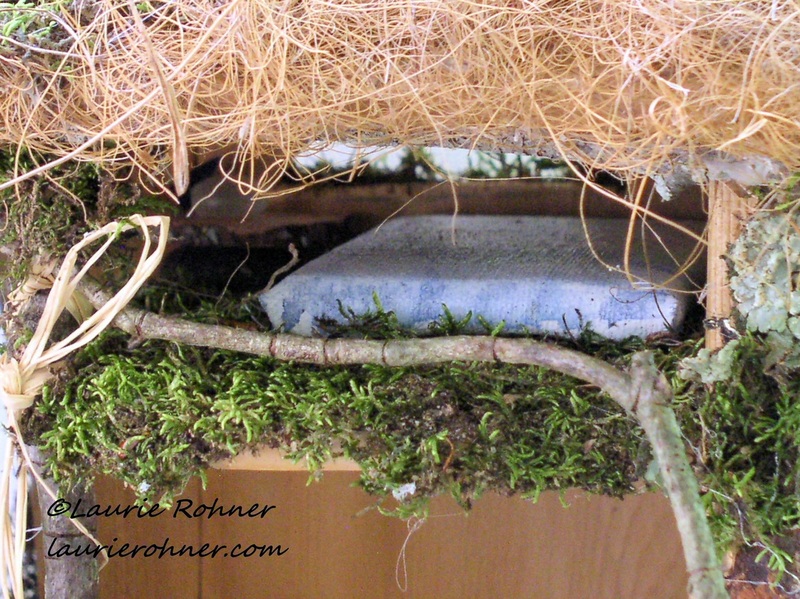 Inside there is a sitting area with tables and on the other side is a table and chair with leaf place mats. 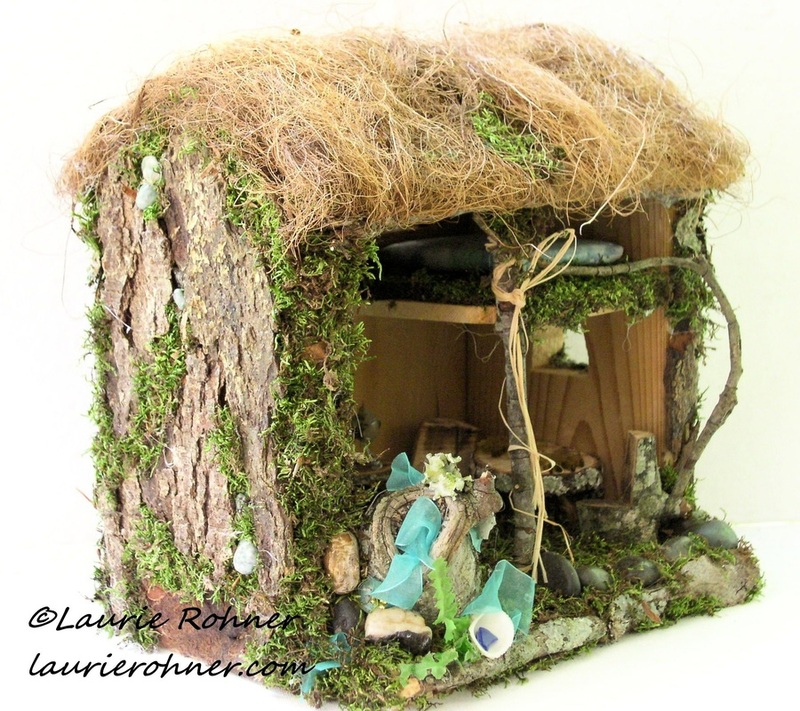 There are three windows, one above the table, another on the back and one in the loft to let the moon and sun shine in over the watercolor bed found in the loft.The roof is cedar and has a thatched overlay and the walls are hand embellished with bark moss and stone. There are bits of sea glass and shells throughout. Everything is sealed with a lacquer spray.